Dr. Nehls specializes in laser vision correction surgeries such as IntraLASIK, custom LASIK and PRK. 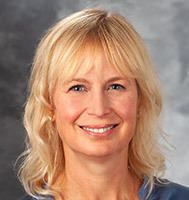 She also specializes in the diagnosis and treatment of disorders of the cornea, including cornea transplantation. Cornea, Refractive Surgery and Uveitis, Francis I. Proctor Foundation, University of California, San Francisco, CA.